If you’re moving to London and following this blog, you might recall that the other week I mentioned compiling a list of recommended Halloween movies set in London or elsewhere in England (see “Relocation to London UK – Top 5 Halloween in London Posts“). I myself had almost forgotten, so am getting this in under the wire… Anyway, if you’re planning your London move and trying to imagine what life will be like walking its streets, don’t worry, they’re not as horrific as what’s depicted below (not that the London property market isn’t terrifying at times…). This is just for a bit of fun as you prepare to live in the historic and atmospheric UK that lends itself so well as the haunting backdrop to all sorts of spooky lore. 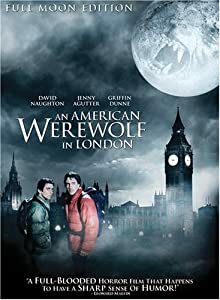 An American Werewolf in London – 1980s film classic set in UK locations like London’s Earls Court, Hampstead Heath, London Zoo in Regent’s Park, and Piccadilly Circus. Sweeney Todd: The Demon Barber of Fleet Street – While this Victorian Gothic tale was not literally filmed there, the infamous barber shop and Mrs. Lovett’s pie shop are supposed to be on London’s Fleet Street, just down a ways from St. Paul’s Cathedral near the Royal Courts of Justice and darling little Twinings tea shop (the original founded at the beginning of the 18th century). Bram Stoker’s Dracula – Again, this one was filmed in a studio, but the tale takes place in Yorkshire and London, England. 28 Days Later – Okay, now we’re back on the actual streets of the UK. This intense zombie flick was filmed at various locations such as London’s Canary Wharf, Haymarket, Bank, Piccadilly Circus, Westminster, Trafalgar Square, Bloomsbury, Notting Hill, and Isle of Dogs as well as England’s Manchester, Salisbury, the Lake District, and Cornwall. Shaun of the Dead – Like some comedy with your horror? This zombie-fest starring Simon Pegg will have you laughing and “Ew!”-ing like mad as the characters run for their lives through London locations like Crouch End, East and North Finchley, Hampstead, Park Royal, New Barnet, and New Cross. The Others – One of my absolute favorites that leaves most of the fright to your imagination, this WWII-period ghost story is set in the dark rooms and corridors of an English stately home in Jersey, Channel Islands. Village of the Damned – The 1960 original of this classically creepy story of an English village impregnated with fast-growing, blond-haired and glowing-eyed children was filmed in Letchmore Heath, Hertfordshire, England. Bedknobs and Broomsticks – This one’s for the kiddies: A Walt Disney tale of magic set during WWII Britain and starring Angela Landsbury, this movie was partially filmed on location in Dorset, England; though the rest was filmed in a studio, the film does depict the streets of London as the characters are evacuated from the city to the country during the London Blitz and make a return excursion to it.